I saw my first snowdrops of 2019 on January 20 in south Staffordshire. The first flowers of the year, they’re always great to see. Well, I say the first, sometimes when it’s exceptionally mild you get various species showing but it’s always the snowdrop that comes first in numbers. Arriving at a pit in Shropshire on the way back home from work for a short lure angling session, two lapwing flew from the water’s edge. I’ve seen them in flight in the area before but the first time on the ground. I also spotted the resident – albeit nomadic – lapwing flock near Shotatton Crossroads in Shropshire. They were very well camouflaged in a ploughed field and it was only when a bird moved to ruffle its feathers did it give itself away. I continue to spot kestrel while travelling to and from Oswestry with the count this time round one bird in Shropshire. I also saw one in Staffordshire as well. You do get to see lots of kingfisher as an angler and one afternoon session on the River Severn produced three sightings, although they could have been the same bird. Nevertheless, always great to see. The resident raven in the Hampton Loade area of Shropshire were very active and vocal. There were at least five birds. I can remember when they weren’t in that location but in recent years they have moved in and have thrived. It’s always nice to see mistle thrush and a pair were showing well at Hampton Loade. One of the early nesting birds, not long now till they go down that route. I saw my first barn owl of the year, in Shropshire while driving home after a fishing trip. It was high in a tree and flew off as I approached. This is definitely a good time to spot them, while the trees are without leaf. 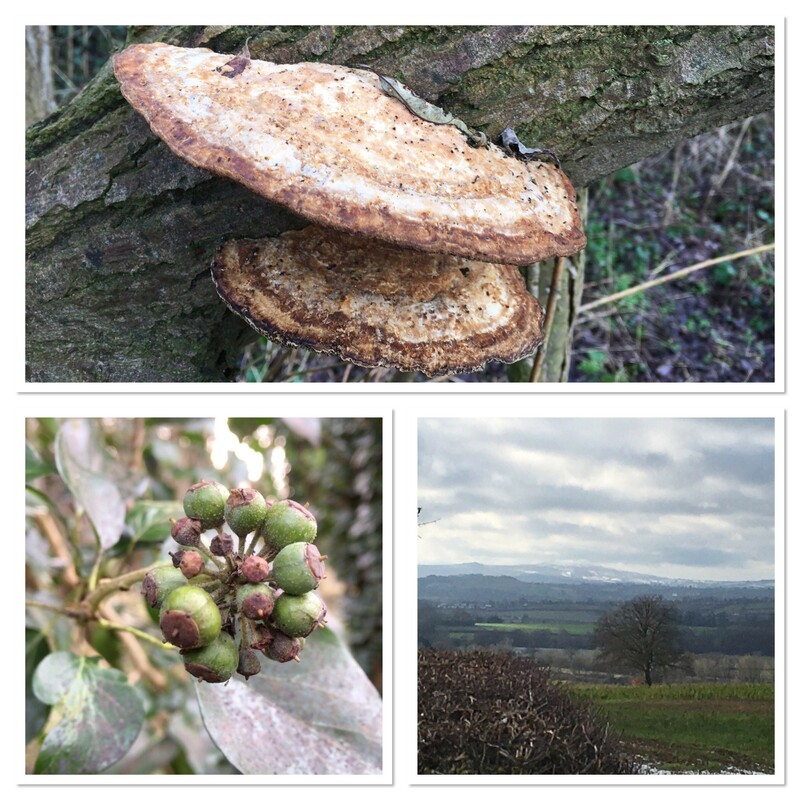 The video below shows views over the Shropshire countryside towards the Clee Hills, fungi, ivy and snowdrops.